How It’s New York: Altan have been known to perform at the tiny NY pub Puck Fair, in addition to large venues like Symphony Space, where they performed in 2010. Their NY shows are always warm, and to see them at City Winery— one of my favorite venues– on March 8 to support their album The Poison Glen will be a treat. How It’s Irish: This band are one of the most acclaimed trad bands, with fans that include Mick Jagger and Dolly Parton. They play a Donegal style, the county in Ulster that Mairéad Ní Mhaonaigh calls home. A version of this article was first published in Irish Examiner USA, Feb. 21. One of the freshest trad cds out this spring, in time for St. Patrick’s Day, is from a band that’s been around nearly 30 years. The Poison Glen (Gleann Nimhe) from Altan, the band’s first studio album in almost seven years, crackles with life. The group wanted to channel the spirit of a pub session. They do. The 13 tracks are both stripped down and lush, revealing the bones of the music in their gorgeous simplicity, augmented by sweet harmonies and fierce musicianship. They are playing City Winery on March 8. Mairéad Ní Mhaonaigh, speaking to me from her home in Donegal, is delighted by the words “lush” and “stripped down” when we speak. “We wanted a really fresh approach,” she says. Learning not to over-ice the cake stems from the band’s long experience together. The “we” consists of long time band members Ciaran Tourish on fiddle, Dermot Byrne on accordion, Mark Kelly on guitar, Ciarán Curran on bouzouki and Dáithí Sproule on guitar. 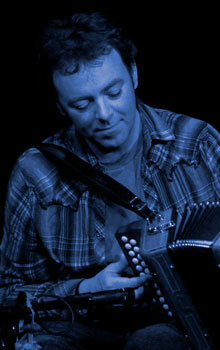 The album includes lovely songs in Irish, well known jigs like “The Lancer’s Jig;” lesser known tunes like “Tommy Potts’ Slip Jig,” new songs that sound traditional, like Martin Tourish’s “An Ghealóg,” and newer composed tunes as well, including as “The House on the Corner” from Dáithí Sproule. Guest musicians include Harry Bradley on flute and Jim Higgins on percussion. 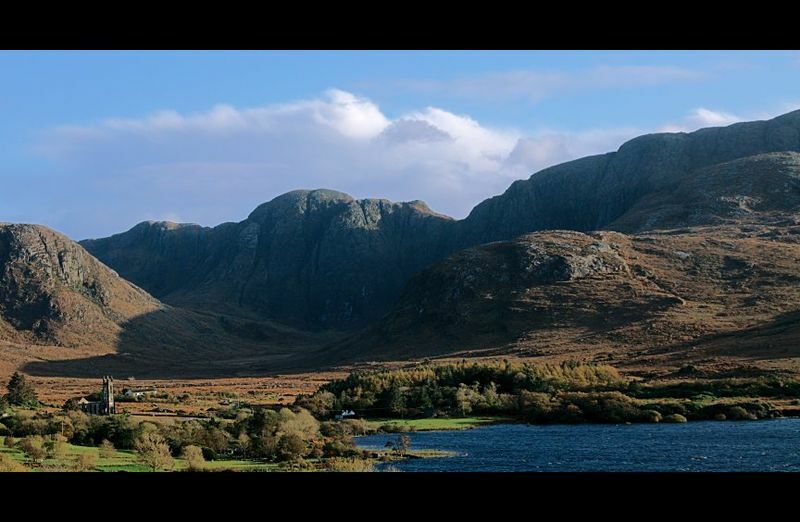 “The Poison Glen” is an actual glen near where Mairéad lives in Donegal. In fact, says Mairéad, whose first language is Irish, it’s a mistranslation from “heavenly glen,” but the name “poison glen” is now so old that a lot of stories have been created around it. The band are photographed in it on the album’s cover, with colors from a Maxfield Parrish painting (artwork was created by Edain O’Donnell). When the wind is howling outside, it’s easy to understand why people believed. Her pure, high voice has always had an evocative quality, as if she’s singing from a misty twilight herself. The music the band makes is very rooted in place. Altan originally consisted of Mairéad and her husband, the late Belfast flute player Frankie Kennedy. When Frankie died of cancer in 1994, Mairéad thought of quitting, but Frankie had made it clear he didn’t want that. Dermot Byrne then joined the band. He and Mairéad later married – they are now divorced but still play together in the band, which I think is unique in musical performance history. “It’s about respect, and knowing each other’s spaces. Whether within a community or a band, you fill the space that’s needed for you,” she says. She didn’t begin playing the fiddle until she was the ripe old age of 10, though she sang all of her life. Her father, Proinsias Ó Mhaonaigh, was a well known teacher and composer in her home town of Gweedore. She already knew many of the tunes from going around with him, and faked sight reading after a bar or two. She gets the music from her mother too – in fact, her parents met when he used to go to her parents’ house, which was a Ceili house. Mostly, she picked up the fiddle herself. Later on, she began collecting local songs to keep them in the repertoire. She also helped found Cairdeas na bhFidléirí, a school of Donegal fiddle music, to keep the tradition of Donegal fiddling alive. The Poison Glen comes out on February 28, 2012, and is available through Compass Records. 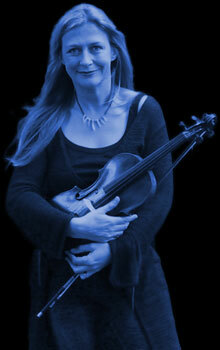 Altan play City Winery, 155 Varick Street, on March 8. Today, she says, a lot of the songs she got are sung on a nightly basis. And there are many young fiddle players playing the Donegal style, which she describes as a blend of Scottish fiddling, with strong bowing, with the Irish element of a lot of fluidity. There’s an excitement to it, especially when combined with the strong and subtle playing of her band members. The space she was talking about is perfectly melded here-you hear just enough guitar when needed, just enough accordion. From the first bars of the first track, a set of slip jigs beginning with “A Fig for a Kiss,” there’s a slow-burning build. “The Lancer’s Jig” makes you want to dance. Then the delicacy of the reel “The Wheels of the World” evokes the mists she describes. You can hear how the music is connected to the Irish language, which Mairéad describes as “rich in metaphor – you’d say “it’s a soft day,” instead of a wet one. Irish is her first language, on both sides of her family, although she also learned English young as well. That metaphor fills in Irish songs as well. “An Ghealóg,” about a bunting who freezes, is by Martin Tourish. Mairéad is the first to record it – she heard him sing it at a late night session last year. “It’s a big song of loss,” she explains. “Caitlín Triall” is a sad love song she got from her uncle Jimmy Dinny, about a man whose love deceives him. She heard it when she was a little girl and was so keen to get it right she went to another niece to get it down right. “Hopefully now a lot of young ones will be singing it,” she says. The tunes talk right to your heart. And The Poison Glen is for everyone.